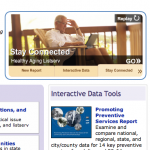 Aging Healthy : Resources and tidbits on the social and medical aspects of aging. With the massive urbanization and rush towards getting millionaire and billionaire is leaving away our elders quite away is isolation and we even not make slightest effort to understand them a bit. Below some videos is an attempt to better understand our elders by means of Gerontology. Gerontology Satisfaction: This video is about the experience of professionals who are into the career of aging. That supports and provides huge satisfaction to them while working among them who are elder and maintain quality of their life and at the same time enjoys wit, wisdom and creativity of the older persons. Social Work & Aging: This video is about statistical of Gerontology as there various trends are available in American society as well as countries globally. In the U.S., of those born in 1900 nearly half died before they were 50 years old. People born today can expect to live beyond their 75th year. In 1900 about one in 25 Americans was over 65; today one in eight is over 65. These all stats are about the need of Gerontology in society and its importance. What is Gerontology: In this video Gerontology is told as biology, sociology, and psychology combined together as to study aging process and individuals as they grow from middle age through later life. Importance of Gerontology: This video tells Aging as a multidisciplinary field that combines information collected from various areas of study. It is told as study of physical, mental, and social changes in older people as they age and changes occurring in society as developed from the aging population. Therefore professionals from diverse field and areas call themselves as a gerontologist. Nutritional Therapies for Age-related Eye Disease: This video is by Emily Y Chew, M.D who is an expert in Eye Diseases related to aging. In this video, she explains about eye related diseases in seniors and elders like macular degeneration and cataracts. In video, she has highlighted factors for eye diseases like natural history and risk factors of age related macular degeneration. Retirement is that stage of life where a person stops working and leaves away labor force or get semi-retired by reducing working hours. In that hours after retirement a person wishes to enjoy his life as much as possible by doing and learning new things in completely relaxed manner. Following is the list of some web resources useful for elders. Seniornet.org: This website is for elders to let them have access to computer technologies as to enable them to have access to computer technologies to enhance their lives and let them to have knowledge and wisdom. It is a non profit organization for computer using adults with age more than 50 and elder. This organization has benefited to millions of seniors and supports 130 Learning Centers throughout the United States. Bestnetguru: This website is for seniors that can be used for teaching them a little computer. The tutorials provided here are completely for free. The objective of this website is to teach fellow citizens about Internet so they can look at reference from the Internet, or read the news headlines, read weather forecast of a place on the other side of the Globe. Seniornavigator: It is a non profit organization that provides free information about the health and aging resources to elders. It provides information about senior related issues like health and aging, financial concerns, legal questions, health facilities, exercise programs, support groups and more. Todaysseniors: This is the website that can help you to enjoy life after retirement and dwindle down some problems that are generated after the retirement. This website is very helpful to teach one about after retirement plans like starting your own business, part time job, consulting, volunteering, mentoring and enjoying lot other leisurely activities. FamilyCareGiving101: The National Family Caregivers Association (NFCA) and the National Alliance for Caregiving (NAC) in combined form run this organization. Its50 million family caregivers in this country provide care for chronically ill or aging family members or friends. It is estimated that family caregivers provide some $306 million in services to overburdened American health care system. Arlington Learning In Retirement Institute: This website is dedicated to high quality courses, interesting special events and enjoyable social activities for every person that is over the age of fifty. Its non degree courses do not requires any testing and paper and provided in range of subjects like Social Sciences, History, Arts and Humanities, Law, Politics and Public Affairs. Lifetime Learning Institute: IT is an autonomous non-profit, member-run organization serving for providing continuing education opportunities to elder adults from all backgrounds and income levels. Gerontology is a branch of biology that focuses on the common mechanism of aging across all the multicellular species. This involves studying of their aging phenomena and diseases. There has been an increased interest in this field as a study program thus the introduction of this program to be done online. When online there are many topics that are covered and they are examinable through the internet. All these topics are the same as the ones that are taught at physical colleges. One can apply for the course through the internet in a quick and convenient way. The only thing that you need to have is to be connected to the internet and you are good to go. Before you apply you should decide the college that you want to provide you with the online program, and this college should meet your requirements. To know of the best colleges nowadays you only download the performance of the colleges in recent years. See the performances and choose a college that best suits you, the one that you think can make the best out of the program. After that you go to the college website and download the application form to upload your info. Remember the applications are given a period of time within which they are to be submitted. A late submission will always lead to automatic disqualification and won’t be accepted. In the application you should make sure that you indicate your names properly and the way they appear is the way you will need them in your certificates. You should also note that there should be an email address that is indicated in the application form so that when the college wants to reach you they can do it easily. It should also indicate your mobile contacts. Payment of fees can also be done through the internet. You will not be allowed to access the program’s tutorials and lessons if you have not paid the fees. Exams are also done online for students who take their lessons online. Remember that if you cheat there are consequences for this act and exams will not be evaluated. Exams online have a specified time in which they are supposed to handed back to the college for marking. Results are also posted via the email addresses of the person examined. You also reach the college through their email addresses for more correspondence regarding the same.